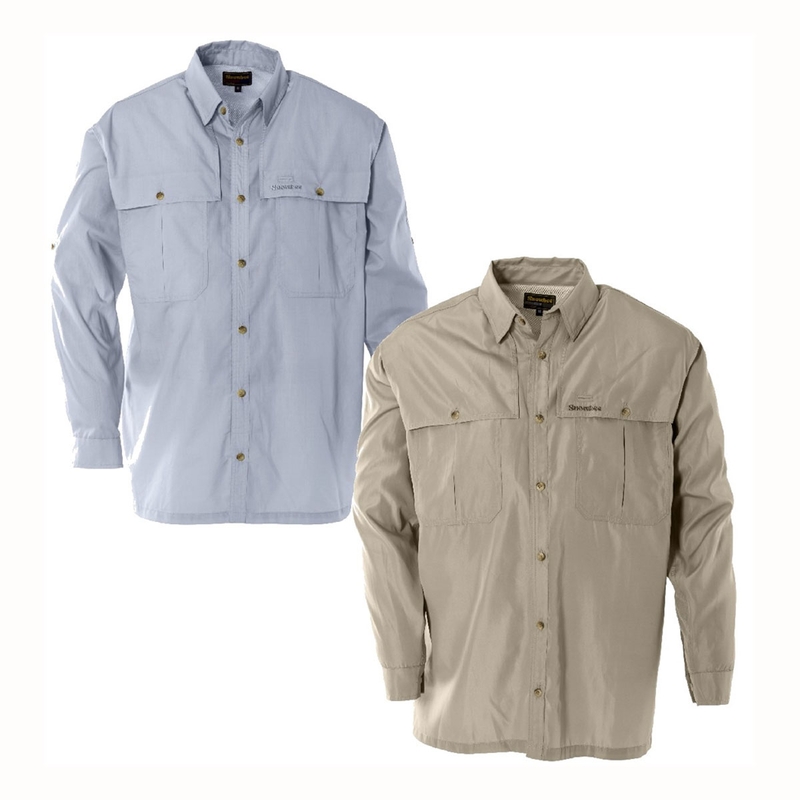 Snowbee Solaris Long Sleeve Fishing Shirt. The top half of the shirt is lined front and back with a fine polyester mesh, covered by external vent flaps, which allow free air passage to prevent the outer material sticking to the skin. There are 2 large front bellows pockets for fly boxes, a sunglasses holder button-hole on the chest and the long sleeve version features Swiss Cuff tabs and buttons to hold long sleeves in place, when rolled up for casting. There is nothing more annoying than shirt collars ‘flapping’ in the breeze, or when motoring in a flats skiff, so our new shirts have concealed button-down collars to prevent this.